Over the years, we have developed several custom programs to solve the variety of pest control problems we encounter on the East End. Our tick and mosquito control programs are very successful and our monthly service programs provide both seasonal and year-round pest management for your home or business. Nardy is known for its prompt and thorough service, no matter what pest we are controlling. From ants to earwigs to silverfish, we are here to handle any pest problem. Rodents and roaches or bees and wasps are all effectively treated by our service technicians, all with a guarantee on our work. 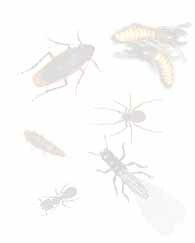 For more information on treating your pest problem, please contact our office. To effectively manage your individual pest problem, we offer monthly service programs in which we use IPM techniques to manage your localized pest populations. Although most service programs run seasonally (May-October) or year-round, programs can be tailored to fit your needs. For more information, please contact our office. No matter where you live on Long Island, ticks (Brown, Deer, and Dog) are a problem. Ticks are responsible for many diseases, Lyme Disease and Rocky Mountain Spotted Fever included, and have become one of the largest health hazards on the East End of Long Island. To control tick populations, Nardy employs both general spray programs and Damminix tick control solutions. We also advise customers on what additional measures can be taken to reduce their tick populations. For more information, contact our office. Over the last several years, we have seen the health risks posed by mosquitos increase substantially. Many of our customers find our mosquito control to be an integral part of their summer maintenance, whether they use our services for an upcoming party, wedding, or just to enjoy a reduced mosquito population throughout the entire summer season. Lately the West Nile virus and Encephylitus have both been in the news because of the threat these mosquito-borne illnesses pose. For information on how Nardy can reduce your mosquito problem, contact our office today. If you are buying or selling a house, or if you just need the peace of mind that your home is termite free, our termite inspections have become the standard by which others practice the procedure. If your bank and/or realtor has not yet recommended Nardy for your termite inspection, please call us today for more information. Nardy employs the latest in termite treatment technology, including the innovative Firstline termite baiting program by FMC. Termite treatments also include traditional termite control, and termite pre-treatments to protect your home from potential termite damage. We also do termite proofing and pre-treatments for new construction. For more information about these services, please call us today for more information. If you have a problem with a nuisance wildlife animal, our certified animal trappers can effectively remove and relocate the animal for you. Nardy practices humane nuisance wildlife removal, relocation and termination* methods, and our animal trappers are always on the forefront in the latest trapping methods. If you have a nuisance animal living on or near your property, please call us today for more information. *Note: According to NYS Law passed in 2004, Racoons must be dispatched to prevent the spread of rabies on Long Island.